Berlin. Famously progressive, yet profuse with stirring reminders of its tumultuous past. Begin here. Then travel from opulent Potsdam palaces to castles and vineyards along the Elbe. With newly resplendent Dresden as the finale, you have reason to extend your vacation just a little longer. On both ends. Taking in the abundance of green spaces in the outskirts of Germany's capital city Learn about the infamous barrier that once separated West Berlin and East Germany, and witness a remnant of the wall along the way Admire Cecilienhof Palace, where the fate of post-war Germany was decided The breathtaking Sanssouci Park greets you in Potsdam, a city considered one of the country's most beautiful World Heritage sites Chat with a local friend about life in former East Germany. Bike in Spreewald Biosphere Reserve, a world of verdant forests, grassland, charming old-world towns and a vast network of shimmering waterways Ever heard of the Spreewald gherkin? Try one while you're here! Punt on a canal or luxuriate at our hotel's incredible spa. From the glorious Zwinger palace complex to the stunningly restored Frauenkirche, a Lutheran church crowned by one of the largest domes in Europe—is truly unforgettable Witness Germany's pacesetting environmental efforts as you bike past nature reserves, sunflower fields and organic farms. 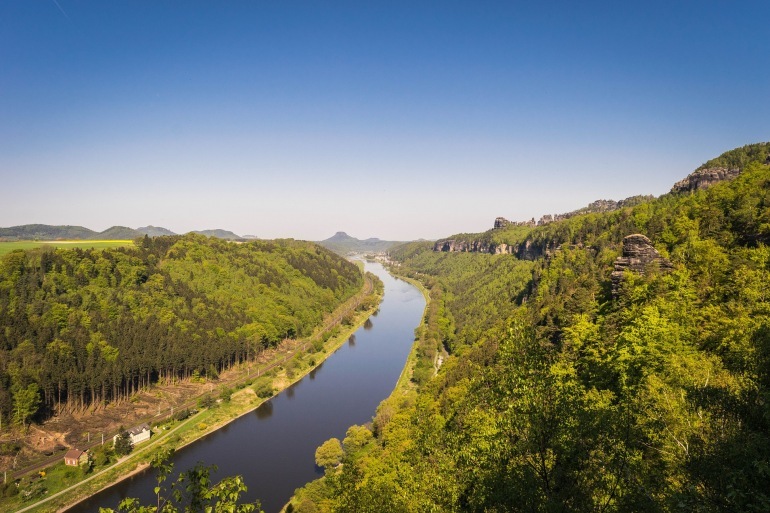 The Elbe River and a patchwork of vineyards provide a glorious backdrop for wine tasting at local wineries Soak up the brilliance of Dresden on foot, or ride through the Elbe Valley past castles and quaint hamlets.